• Because it's unrealistic to expect genuine and unbiased free consultation from an agent or seller of financial products. • Because there is a need to get access to experts who would highlight the fine print that needs to be read before signing on the dotted lines. • Because speaking to an expert can save hours/days spent on websearch. In early 2008 Mr.Sudheer C.S (founder, MD and CEO of IndianMoney.com) happened to meet an auto driver while working in a top MNC Broking house. The auto driver told him that one of the sales persons from his organization has sold him an insurance policy promising that "If you pay Rs 25,000 once, you will get back Rs 1 lakh after 3 years". Mr. Sudheer knew there was no such policy available. When he read the policy document he realized that it was a Regular Premium ULIP policy, where customer has to pay Rs 25,000 each for 3 years. Based on the market performance, customer "might" get back Rs 50,000 or Rs 75,000 or Rs 1 lakh after 3 years. It was clear that the humble auto driver wasn't made aware of the terms and conditions and complete details of the policy. It was literally impossible for an auto driver in Bangalore to save Rs. 25,000 a year for the rest of the installments. This incident shook Mr. Sudheer, he knew that there was a need for genuine, honest and unbiased financial advice and he instantly started thinking for a solution to end this problem. That's when IndianMoney.com was conceptualized, to end the unethical sales practices which are mostly in practice in the Financial Services Industry. Mr. Sudheer paid Rs. 25,000 to the auto driver so that he at least recovers the money he had put into and also submitted his resignation to his CEO. Today, IndianMoney.com advice / educates over 23,000 people on phone every day. IndianMoney.com works with a clear disclaimer that "IndianMoney.com is not a seller of any financial products, we only provide FREE financial advice / education to ensure that you are not misguided while buying any kind of financial products". Before buying any financial product or making an investment, all one needs to do is give a missed call to IndianMoney.com on 022-6181-6111, speak to its financial experts and be confident and aware while dealing with the agents. 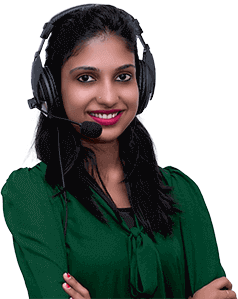 IndianMoney.com Financial Advisors gives a call back to the caller and would then provide absolutely free and unbiased advice/education and clear any kind of doubt on any kinds of financial products (Insurance, Mutual Funds, Loans, Bank Accounts, Deposits, Stocks or Real Estate Properties). One can also visit the IndianMoney.com website (www.indianmoney.com), browse through the financial articles and concepts. One can also fill up and submit a form and place a request for free advice on the phone on any of the topics of his/her choice. Over 510 member strong team at IndianMoney.com shares Mr. Sudheer's vision that "The dream of a developed India is possible only when we have 100% Financial Literacy".